One, two, buckle your...miniskirt! 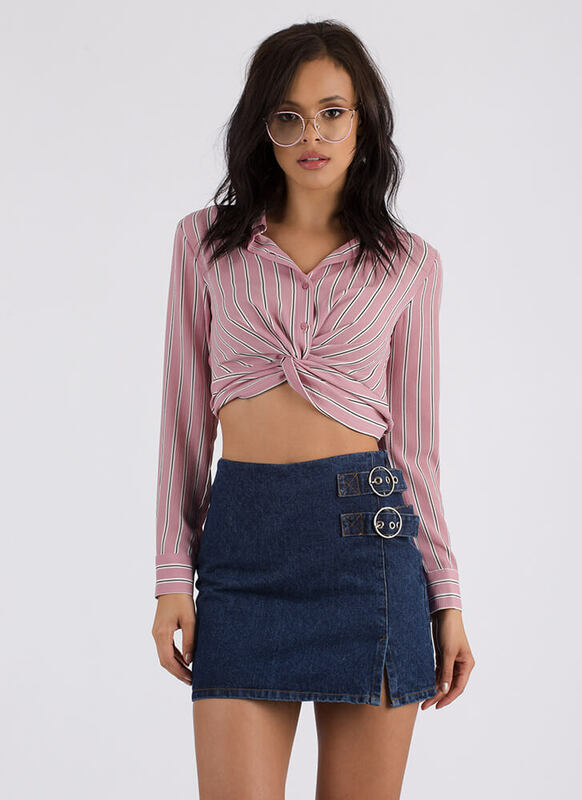 Non-stretchy denim miniskirt features a subtle mineral wash, a notched slit over one thigh, and two side straps with punched grommets and round buckles. Skirt is finished with a hidden side zipper for easy on and off.